Dante Alighieri (1265–1321) maintained that translation destroys the harmony of poetry. Yet his Commedia has been translated into English time and again over the last two-and-a-bit centuries. At last count, one-hundred and twenty-nine different translators have published at least one canticle of the Italian masterwork since the first in 1782, and countless more have translated individual cantos. Among them there are some of the finest poets in the English language, including Robert Lowell and the Irish Nobel Laureate Seamus Heaney. 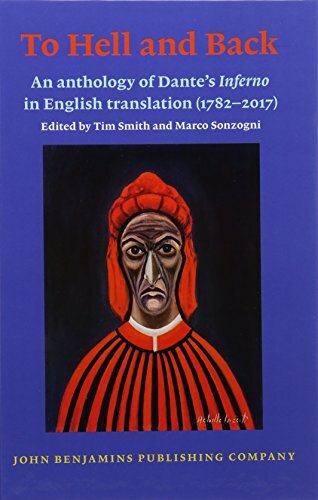 Smith and Sonzogni have assembled and annotated two complete translations of Dante’s most popular canticle, Inferno, each canto translated by a different translator. To Hell and Back is a celebration of the art and craft of poetry translation; of the lexical palettes and syntactical tempos of the English language; and, of course, of the genius of one of the greatest poets of all times.